If You Can Only Visit One Supercar Maker, Who Do You See? Europe is the home of the supercar. They're built there. The roads are built for them. But if you could only visit one factory, which would it be? It's a tough choice because there are just so many amazing factories to explore. Ferrari is mecca for the supercar lover. McLaren is the sci-fi wonderland where dreams become the P1. Lamborghini is just batshit nuts. Koenigsegg is the plucky powerful upstart in one of the coldest countries on earth. Bugatti has tons of firepower and is the only automaker of any kind in Molsheim, France. 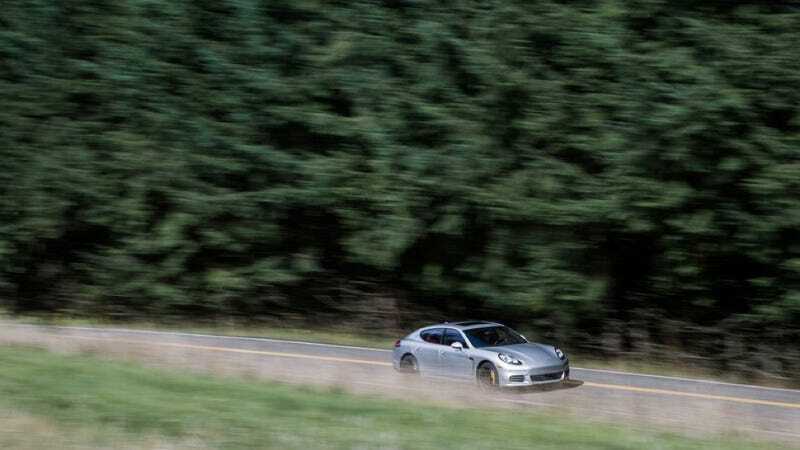 I'm in Germany right now to test the Porsche Macan, but I'll be heading out tomorrow morning in a Porsche Panamera 4S, grabbing ace photog GF Williams (if you don't know his work, you really should. He is the MAN, just look at what he did the last time we got together), and then heading to one of Europe's fabled supercar makers. Well, I'm not telling you. Tomorrow on the site we'll be doing a bit of a scavenger hunt. I'll give updates on our location on the site and on my Twitter, and by late tomorrow night you'll know exactly where we're going. Get ready, it's going to be fun. Put any initial guesses below and we'll see if you got it right.